This post is sponsored by JOANN. It may contain affiliate links but all words, reviews, and opinions are mine. Fall is such a fun season to decorate our home. 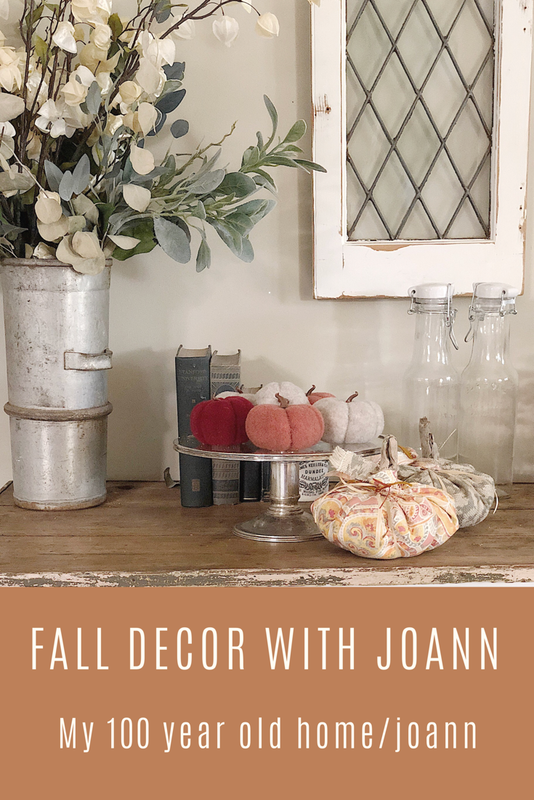 This year I partnered with JOANN and I am so happy with all of my new fall decor. 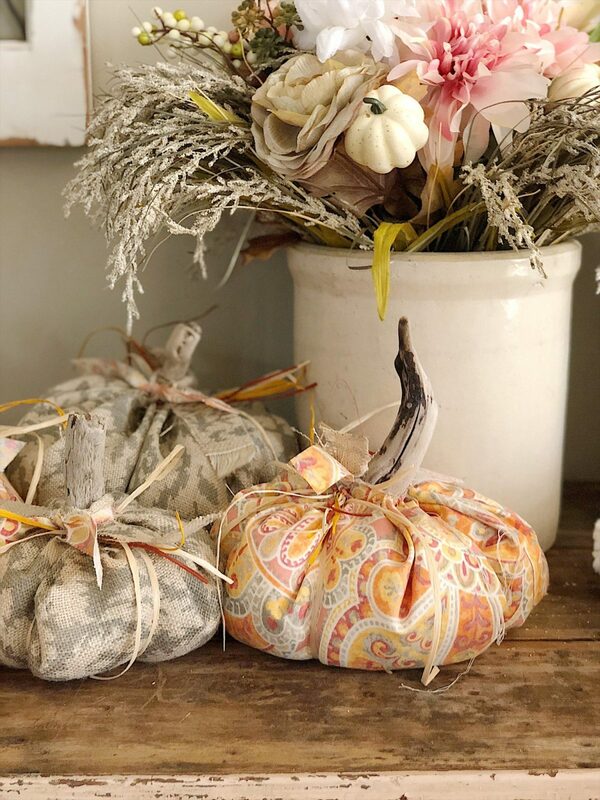 The faux flowers are perfect and I love how the small velvet pumpkins tie everything together. I made both the colorful pumpkins and the chunky blanket and I can’t wait to share how easy they both were to make! JOANN is the perfect store for all of your seasonal home decor shopping. Let’s start with what I found at JOANN to decorate our home. You can see from my shopping carts (yes, I needed two!) that I had a concept in mind. 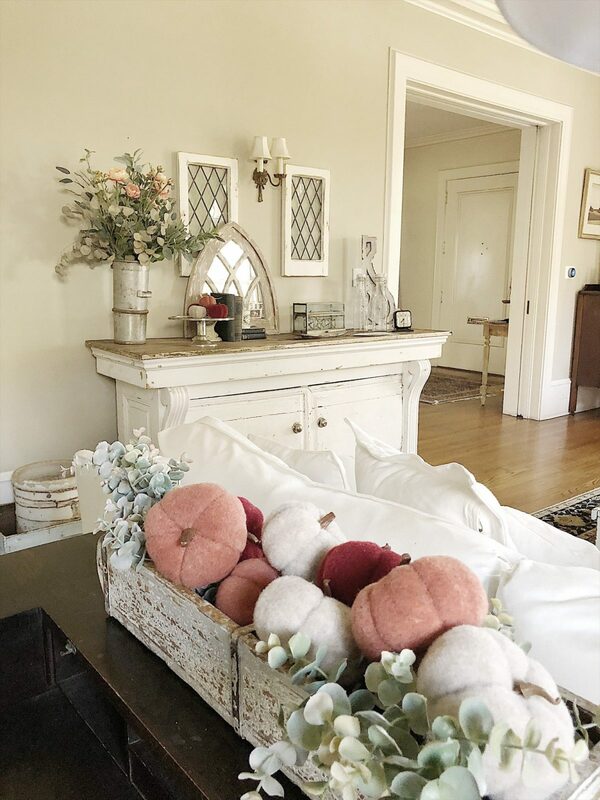 I wanted to add lots of colors and as soon as I found these Simply Autumn Felt Pumpkins in Mesh Bag I knew what my palette would be. I chose a Pinkish orange, magenta, off-white and tan. After I decided on my color palette the rest of the shopping was easy. I also decided to make some pumpkins so I purchased two different decor fabrics. 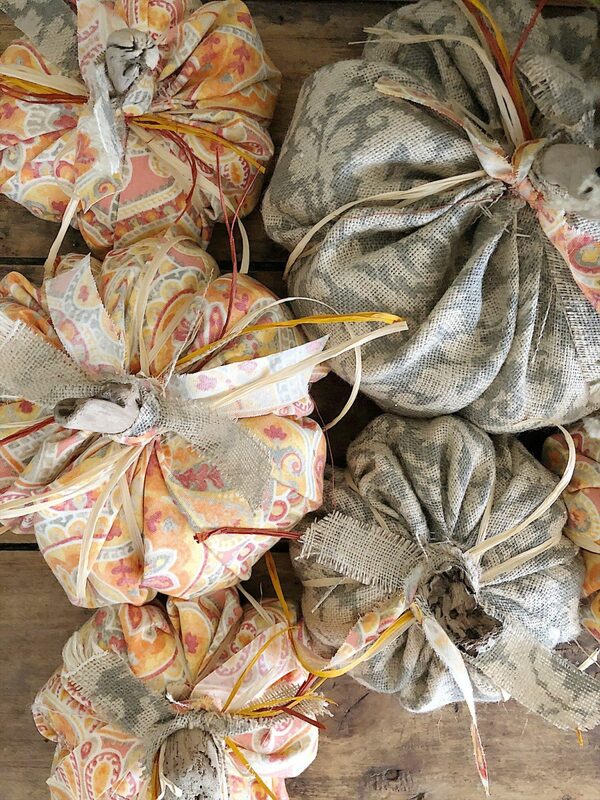 I found a wonderfully printed Waverly Dashing Damask Natural Burlap and a bright and colorful decorator fabric. 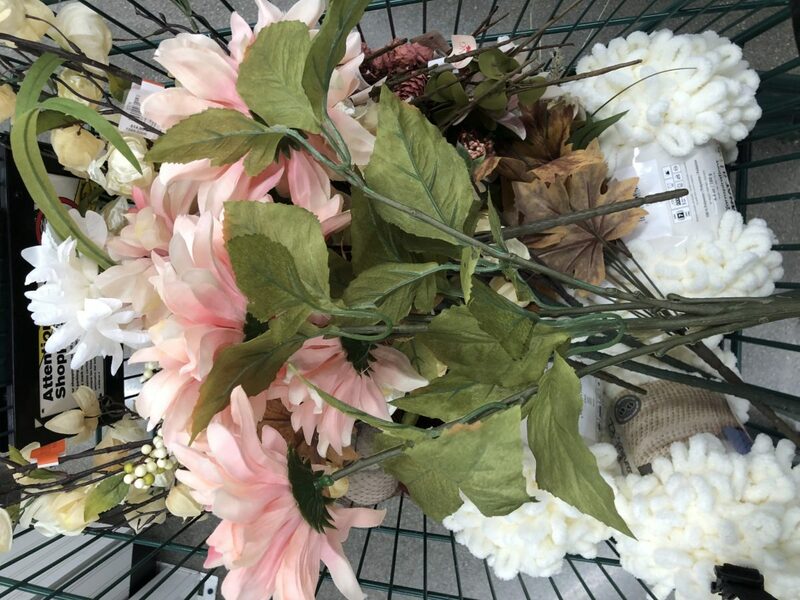 Then I bought some faux florals which I love. I also found a new chunky chenille yarn called Bernat Alize Blanket-EZ Yarn at JOANN that allows you to knit a blanket without using knitting needles. You can make the blanket so quickly it is amazing. 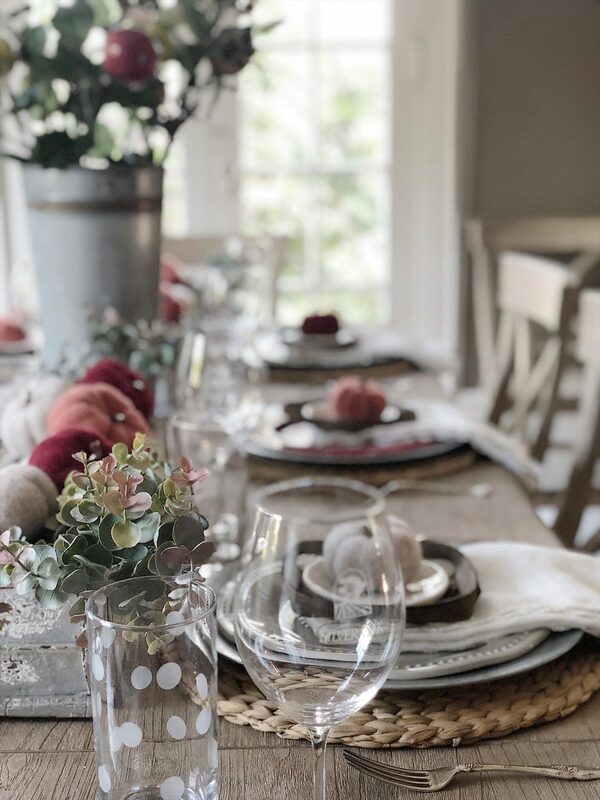 The first room I decorated with my fall decor was the dining room. 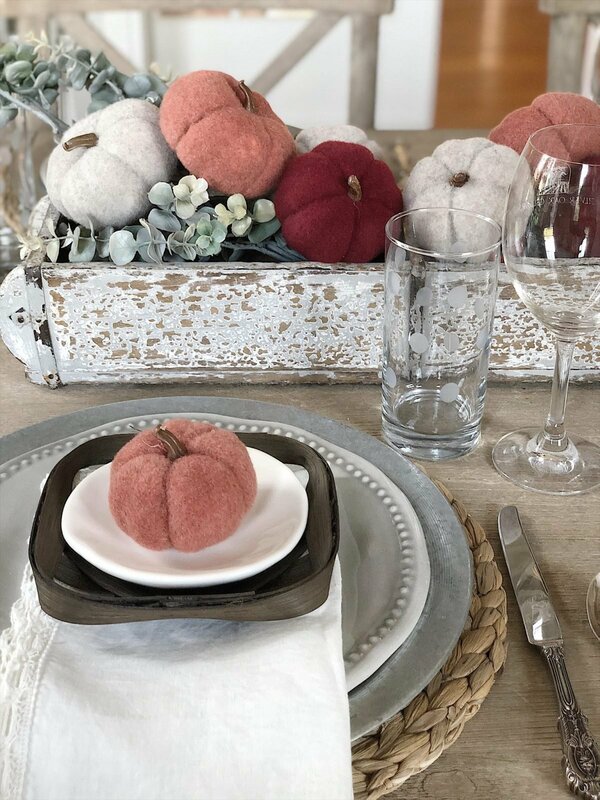 I love having a table set in our dining room and the Simply Autumn Felt Pumpkins in Mesh Bag absolutely made the entire dining room burst with color. I used some vintage brick molds as my centerpieces and filled them with faux greenery and the pumpkins. As I began decorating our living room I ended up going back to JOANN to buy three more bags of the pumpkins. 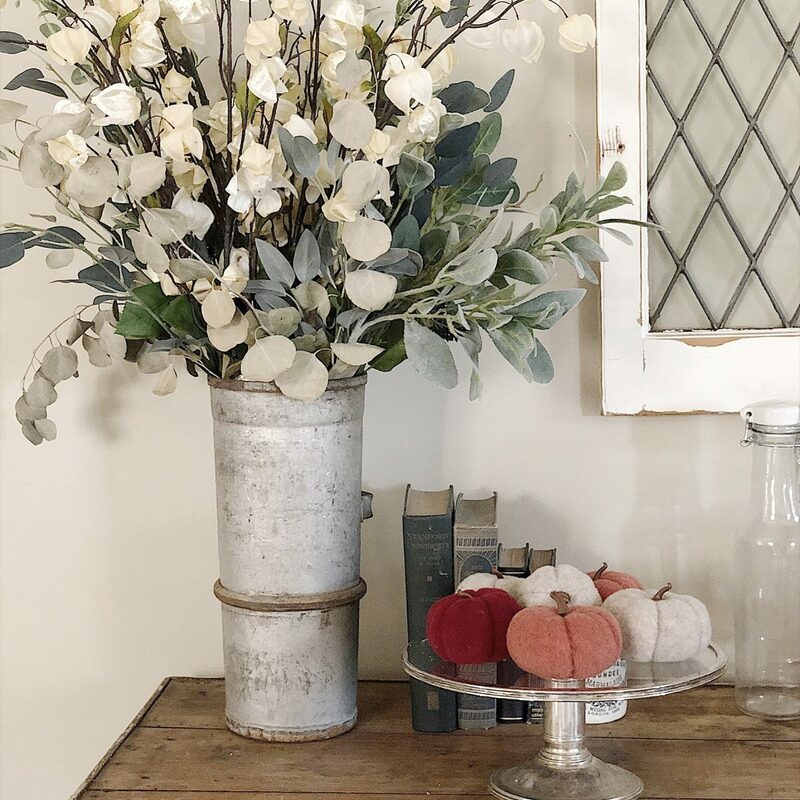 I absolutely love these white faux flowers called Blooming Autumn Lantern Spray-Cream. I am sure they will remain here in my living room year round! I also purchased two lovely faux fall florals Blooming Autumn Mum Ranunculus Berry Bush. They work perfectly with my fall color palette and look so natural in my vintage crock. I then placed Blooming Autumn 21” Heather & Onion Grass Bush-Yellow all along the outside of the crock to add some fullness to my floral arrangement. I made the fabric pumpkins and they do not require a sewing machine! I love to use decor fabrics for my DIY’s. I used printed Waverly Dashing Damask Natural Burlap and a bright and colorful decorator fabric. It’s unexpected and I think the pumpkins turned out great. Just go to the JOANN site for the complete DIY and just so you know, they are really easy to make. They are filled with rice and polyfill and the stems are made from driftwood I collected at the beach last weekend. You can also use old sticks, cinnamon sticks, and dried fresh pumpkin stems if you can’t get to the beach. I found a package of colored raffia Darice 4 pk 4 oz. Raffia Strands-Harvest and I love how the colors work with all of my fall decor. I worked on the blanket on and off for a week and it came out better than I expected. It is the coziest blanket ever! Be sure to head to the JOANN site for my DIY on how to make this awesome chunky blanket. And by the way, don’t forget to use the JOANN coupons for all of your purchases. 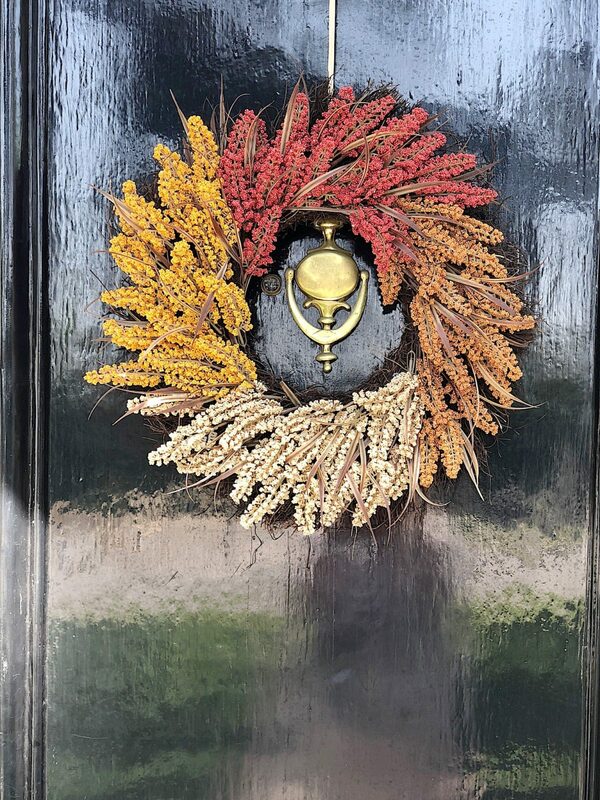 As the final touch for my fall decor, I found the perfect wreath Blooming Autumn 23” Heather Wreath-Tri Color at JOANN for our front door. It’s got the perfect colors and I just love how it looks! 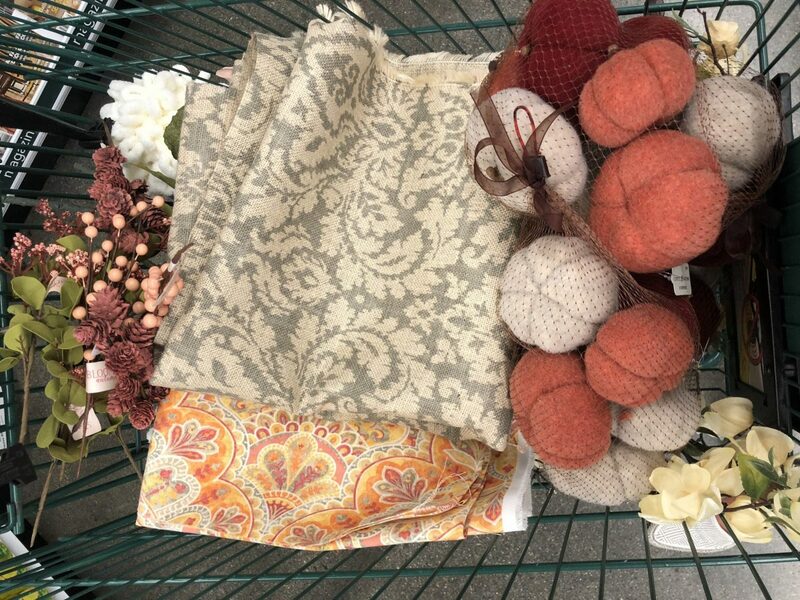 Head on over to your local JOANN where you can find all of this (and more) decor for fall. I absolutely love our new fall decor. 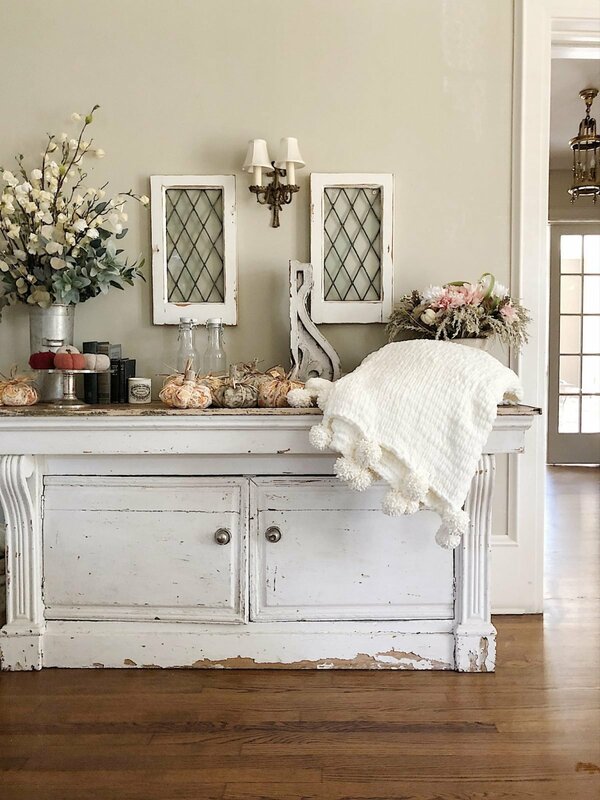 Pin the image below to your fall decor and DIY boards on Pinterest (just click the Pin button in the top left corner). You can also follow along with me on Pinterest! You can never have too many pumpkins! Great job with the fabric pumpkins you made! Thank you so much Michele! When everyone is doing creams and greens you decided on color and it’s beautiful! I love it! Really want to learn how to make that blanket, too! I love that you’re showing how to make things. This is pretty, festive, and a fun project most of us can do. Thanks! Can I ask how many packages of that amazing yarn it took to make your blanket? I love it and want to do one for sure! Such a great fall palette. Love the subtle pops of color. And that blanket you made is amazing! Can you tell me what your paint color in living room. 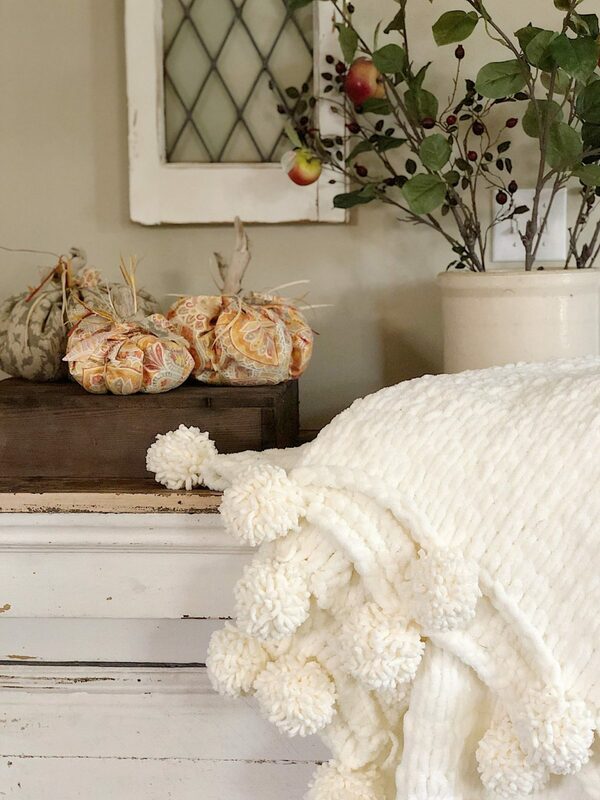 I am looking for a your link for the instructions on how to make the chunky chenille blanket.